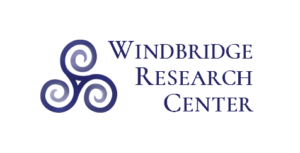 The Windbridge Research Center was officially formed in July 2017. As such, some of the activities listed below are still being developed. In addition, many are ongoing. Much of this work can only be accomplished with your support. Please consider donating today. For a detailed description of our mediumship research programs, please read this article. For a brief review of our major findings, click here. Below are our current efforts within our three mediumship research programs. – Encouraging other labs to replicate our accuracy protocol. – Analysis and publication of previously collected accuracy data. – Brain imaging of mediums as they conduct readings and engage in other mental tasks. – Analyzing and publishing previously collected survey data comparing mediums and non-mediums. – Further exploring the links between mediumship ability, trauma, and disease prevalence. – Exploring factors that may enhance or inhibit mediumship abilities and accuracy. – Examining the psychology of sitters receiving mediumship readings. – Continuing our Bereavement and Mediumship (BAM) research. – Developing and evaluating potential mediumship training procedures. – Developing research-based ‘best practices’ guidelines for mediums, clinicians, and sitters. – Understanding mediumship’s potential role in wisdom acquisition. – Prevalence and qualitative studies of After Death Communication experiences (ADCs) in the bereaved and End of Life Experiences (ELEs) in the dying. – Understanding factors that contribute to fear of death and developing effective interventions to help alleviate those fears. – Empirical research in the areas of Instrumental Transcommunication (ITC) and Electronic Voice Phenomena (EVP). – Continue to seek out and publish unique, high-quality articles focusing on interdisciplinary studies of consciousness as it relates to dying, death, and what comes next. – Continue to develop and improve the journal’s web-based delivery platform. – Secure funding to support on-going journal overhead costs including web hosting, DOI’s, and archival services. – Continue to create new educational materials (such as videos and fact sheets) based on the results of our research and other findings within our field. 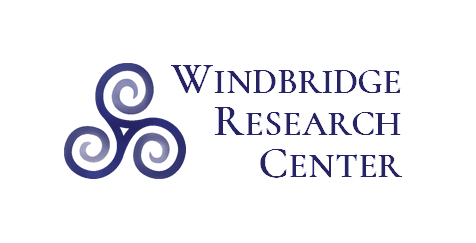 – Provide regular updates and press releases about our findings, new educational materials, and educational opportunities to our email list, social media platforms, and relevant news/media outlets. – Continue to be a source of credible, evidence-based information and make ourselves available to the media for interviews and consultation. – Continue to present our research findings at scientific conferences and public focused events. – Move forward on the design and development of free, open access, online classes tailored to meet the needs of practitioners, clinicians, scientists, and the general public.